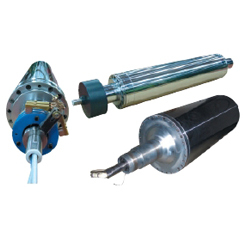 Induction coils are inserted inside precision-processed rollers and alternating currents will be charged, then a line of magnetic force will be generated and the eddy current induced by this line of magnetic force will be flown on the surface of the roller. 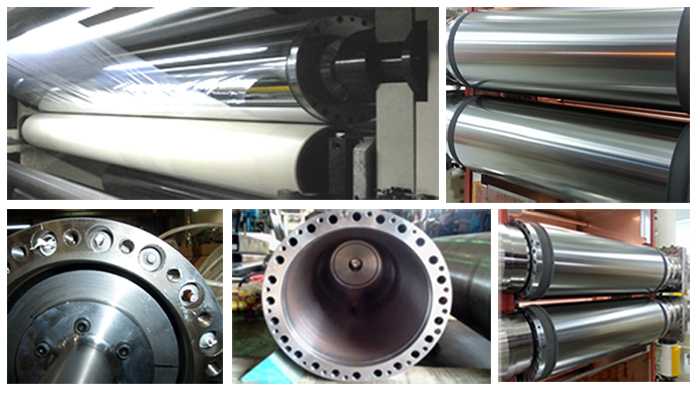 As the roller itself becomes heated, thermal efficiency is greatly inproved. 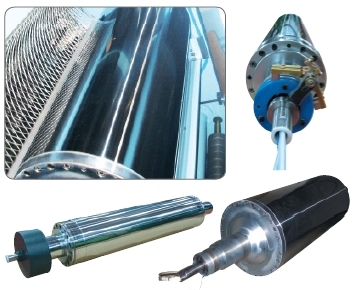 As durability of the induction heating roller is semi-permanent and it has high thermal efficiency with the even distribution range of temperature, it will be proper for high-technology industrial equipment which needs precise temperature control as well as large scale of industrial equipments. 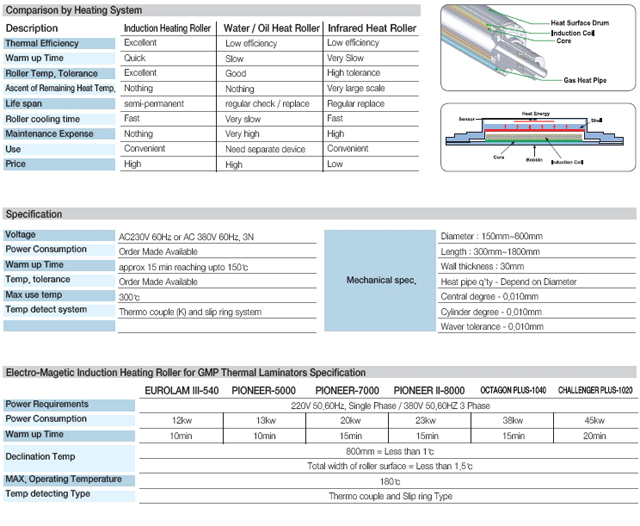 Temp detect system Thermo couple (K) and slip ring system.